Wow great read very useful definitely going to try to stash some stuff away on your list. Curious how long it took you to write this article and where your from? Canada? Articles usually take me 60-90 min to write + research time, which varies depending on topic. I’m in Toronto, Canada, but spend a lot of time in the US as well. 1. I am just starting out in MTG Finance and I have a few small specs i am working on. I currently have about $50 to spend on something like this, what would you suggest? 2. 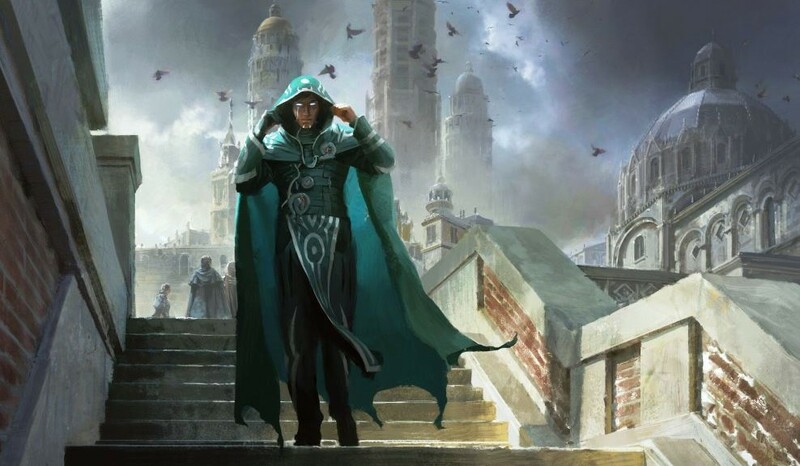 How do you feel about dig through time, both foil and non foil, is the chance of a banning in legacy to scary, or is it a good short term investment. DTT will get the axe, is what I think. The card is too good even in a format like Legacy. I would stay away from it. Dig Through Time isn’t on my short list because a fall rare that is only played in Legacy/Vintage should face higher supply than demand for at least a couple of years. If it isn’t banned in Legacy I’d peg DTT at $10-15 by say 2017, but banning may well be in the cards and that risk profile puts it behind the cards I listed. 1) With $50 I would likely try to track down a foil Hangarback and sit on it for 6-12 months, hoping for a spring modern bump. Last week I would have said foil Jace. 2) See my comments above on DTT. Not a Tier 1 spec IMHO. I am wondering what you think non foil copies of Tasigur might do post rotation? Slow steady gains would be my guess. If it was a 4-of I’d be more excited, but I prefer to invest in Modern foils where possible on big ticket items so as to minimize total volume of transactions when cashing out. nice article, as always; always helpful! A quick question regarding Tasigur : is it a good move to get the promo Tasigur rather than the Fate reforged foil? I would say it’s best to get the Fate reforged foil, but I’d be very interesting in knowing the reason for a difference on value! Hey Vince, thanks for the question. It’s not entirely clear yet whether players will discriminate longer term against the more recent promo foils. In the past the high availability of specific promo foils left them on the sidelines for speculation purposes, but the more varied distributions over the last few years, and the upcoming equal rarity for all pre-release promos should start to equalize pricing, especially on cards in high demand. Personally I prefer to err on the side of caution and only invest in pack foils. This seems like the wrong week to tell people to buy Foil copies of Magic Origins cards. Redemption sets will be showing up over the next 2 weeks and adding a lot to the overall supply. Yea, agreed. With redemption rolling in, I think you’ve got another month to pick these up. I think the best time will be right around the release of BFZ. The first wave of redemptions will roll have rolled in and there’s only 1 weekend of GPs in September (1 Modern constructed, 1 Origins Limited) which means the likelihood of spiking is pretty small (although possible if one of these cards is a 4 of in a top 8 deck in that Modern GP in OKC). I find it super odd that there are only 2 GPs in September vs. 6 GPs in August + 1 Pro Tour… we are going into the slow season indeed.